The European Wax Center has 893 locations nationwide so those looking for a neighborhood waxing specialist have found their future home. If you are unsure of getting your first wax or unsure of changing locations the European Wax Center will offer first time guests a complimentary wax! 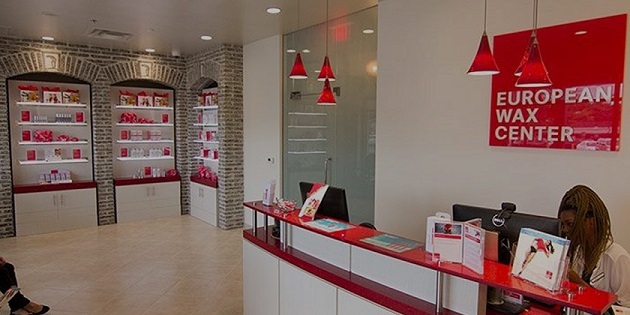 Come experience the comfort of your local European Wax Center at no cost on your first visit. The European Wax Center is a leader in waxing services. They offer several options to have you looking your best. The bikini line waxing service costs $28.00 and will have you looking your best come beach season. The full bikini wax will give you the confidence to strut your stuff on any beach in the country. That service costs $35.00. If you usually go for the Brazilian wax or want to give one a try, the friendly professionals at European Wax Center can provide one as well. A full Brazilian wax can have results seen for over a month! If you are looking to get the most bang for your buck, the Brazilian wax can last from three to six weeks. A couple of these and you are set for the summer! This service costs $42.00 and is worth every single penny. Did you know that by virtue of getting a wax instead of shaving that it will take longer for the hair to grow back? It is true! Waxing removes the hair from the root which makes it way harder for the hair to grow back. Also, as an added bonus, the hair grows back weaker. Sparser and thinner hair is easier to remove. Do you have a big date or a formal event and you want your eyebrows done professionally? Don’t leave such an important task to your friends or an unsteady hand in front of your bathroom mirror! Getting your eyebrows done at European Wax Center costs $16.00. If you are looking for a full face package, European Wax Center is capable of handling your needs. The full face wax comes with eyebrows, lips, cheeks, sideburns, chin and nose. Anywhere you could be worried about hair on your face the full face wax will take care! So don’t go out and buy a razor for those stray facial hairs, come in to European Wax Center and stop them from coming in to begin with! The full face package costs $44.00. Hate the feeling of razor burn on your underarms? You can have smooth armpits in just one quick visit. This will also give you healthier skin in a sensitive place as waxing also removes dead skin cells along with any stray hairs! European Wax Center will wax your underarms for just $16.00.